The Stone Clay colour background is a realistic image of a clay-coloured rock face. 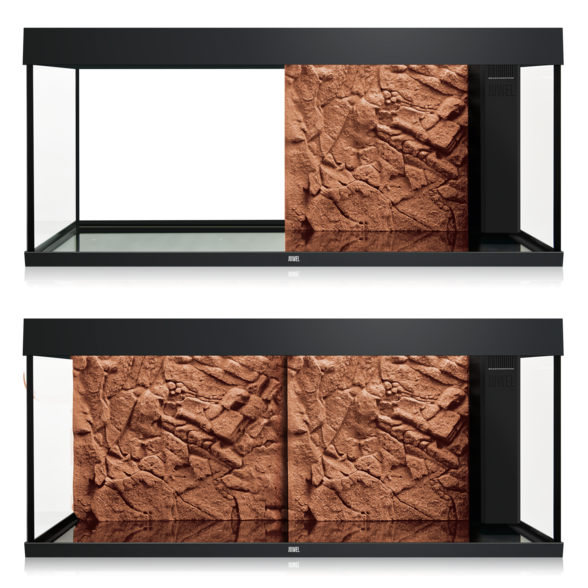 The distinctive 3-D structure gives your aquarium a fascinating illusion of depth at a very low installation depth of just 1-3 cm. 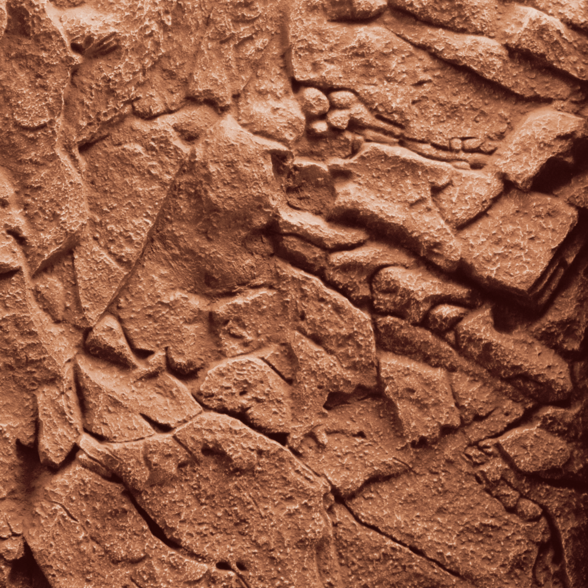 As part of the Stone Clay decorative range, this colour background goes perfectly with the matching filter cover. The Stone Clay colour backgrounds are made of a highly condensed polyurethane, coated with epoxy resin. This complex production process makes it particularly easy to cut the colour background whilst providing an extremely tough, colourfast surface. How many backgrounds do I need for my aquarium? 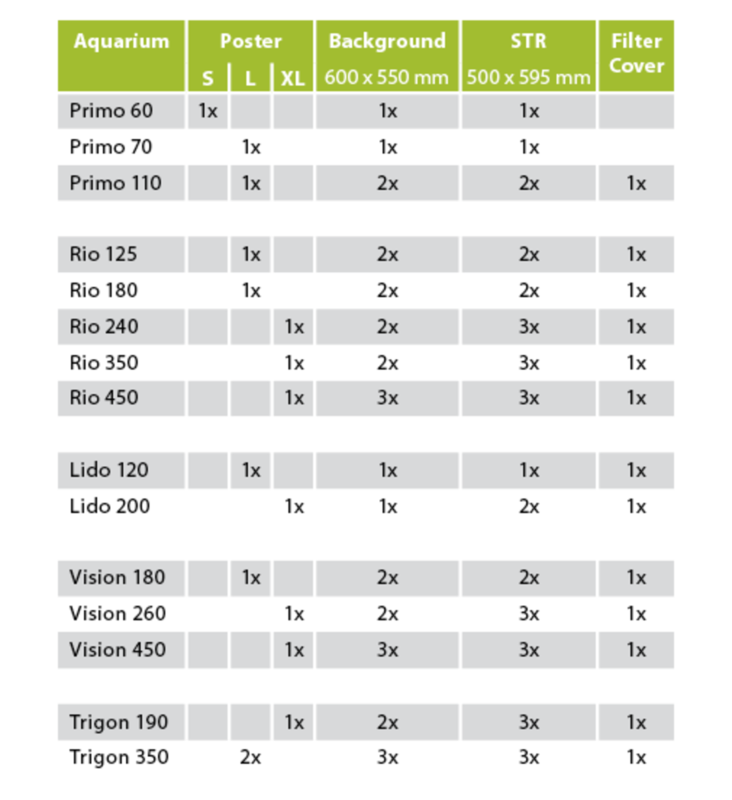 You will find this information both on the packaging of our JUWEL aquarium backgrounds, and in the image gallery for the respective product on our website. How do I correctly mount the posters to my aquarium? 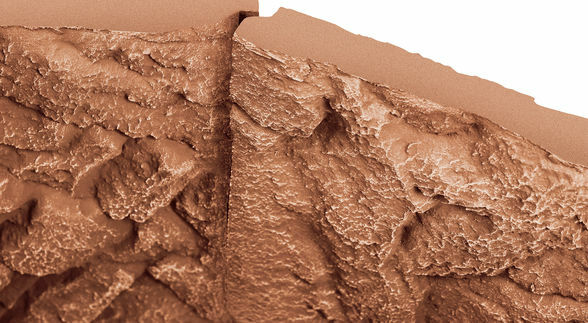 You should use a specially developed glue for mounting your poster. 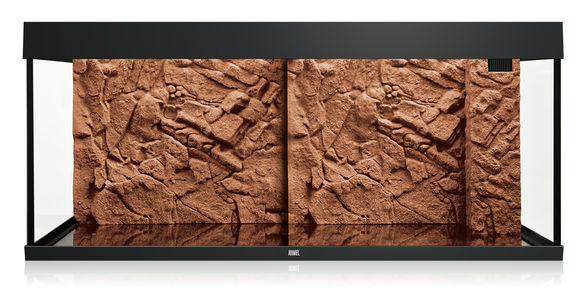 JUWEL PosterFix guarantees air-bubble-free mounting of the film background on your aquarium. This special glue also prevents unattractive light refraction, thus increasing the colours and structure of your motif to great effect. 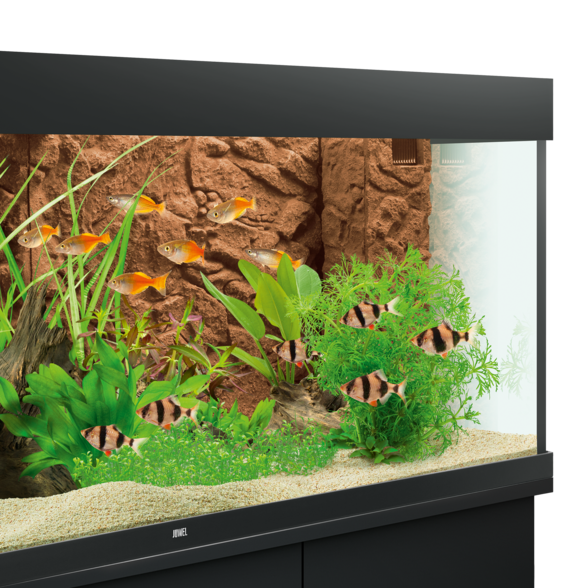 How do I correctly install the structured backgrounds in my aquarium? Once you have cut the background to size, you should attach it using a specially developed glue. 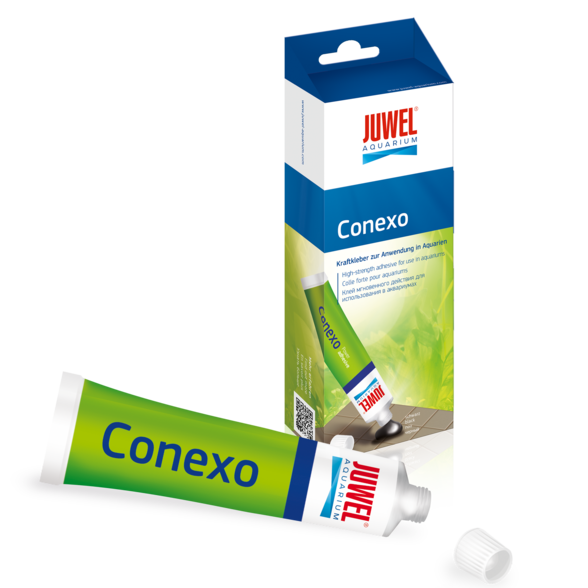 JUWEL Conexo is an extremely effective glue and is particularly suited for permanently attaching plastics to glass. JUWEL Conexo can also be used on moist surfaces. Videos about how to correctly install the JUWEL decoration elements are provided in the image gallery for the respective product on our website. What tool do I use to cut JUWEL backgrounds and filter covers? All backgrounds and filter covers come with a suitable saw. This allows you to precisely cut your JUWEL background and filter cover to size. Are JUWEL decorative items suitable for saltwater? 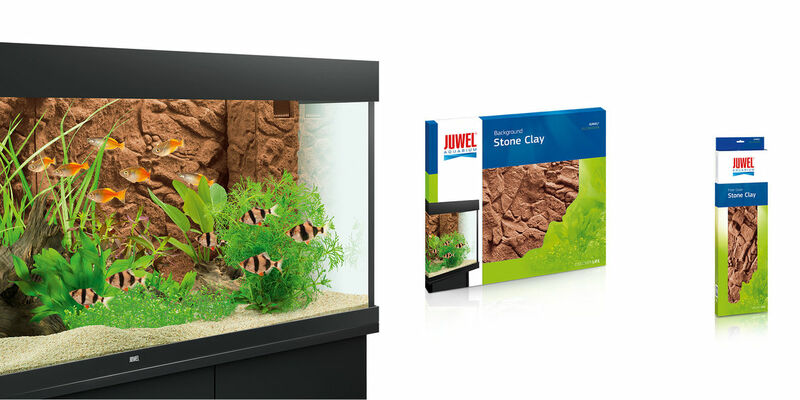 All decorative items from JUWEL Aquarium are suitable for saltwater. What is the correct way to cut JUWEL backgrounds and filter covers to size? 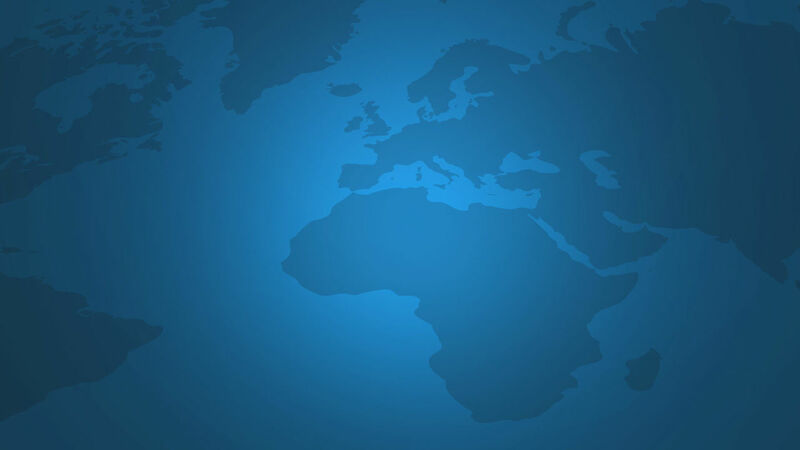 Filter covers can be cut precisely to size using the enclosed template. Backgrounds must be cut to the dimensions of the aquarium. Videos about how to correctly cut the JUWEL decoration elements are provided in the image gallery for the respective product on our website. 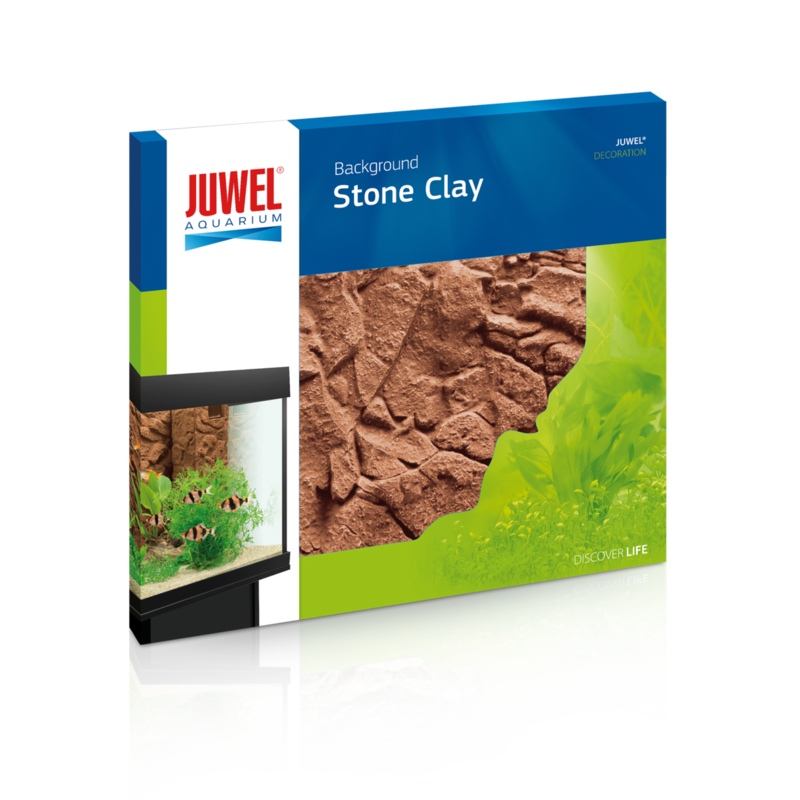 Which material is used for JUWEL backgrounds and filter covers? 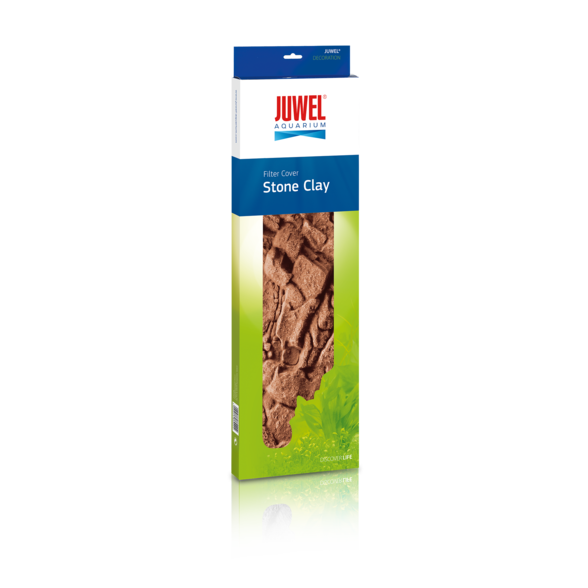 All JUWEL backgrounds and filter covers are made of highly condensed polyurethane and coated with epoxy resin. This complex production process makes it very easy to cut the colour backgrounds to size whilst providing an extremely tough, colourfast surface.